Prolific singer/songwriter Ty Segall released his 9th full length album earlier this year, with the help of usual suspects (his live band) Emmett Kelly, Mikal Cronin and Charles Moothart playing behind him. As on previous releases, Ty and his guitar are king, as he shreds through tracks like ‘Break A Guitar’, ‘The Only One’ and ‘Thank You Mr. K’. There is plenty of jangle, and pop on this bad boy as well, like on ‘Orange Color Queen’, included (below) for your downloading/listening pleasure – build a mixtape with it, I dare you. This is Segall’s strongest effort to date, definitely worthy of your time. Enjoy. Chicago’s The Cairo Gang sound like they just stepped out of the sixties with their jangly brand of candy coated power-pop. Their new album, Goes Missing, is available now from Ty Segall’s Drag City Records imprint GOD?. Check out the poppy as hell “Ice Fishing” (below) for a taste of their goodness. Philadelphia trio Purling Hiss’ new album Weirdon is 11 tracks of fuzz drenched, poppy goodness. Check out toe tapper “Learning Slowly” (below) for a taste of the goodness. Weirdon is available now from Drag City. You should buy it. Wand’s debut release, Ganglion Reef, is right up my alley. It’s fuzzed-out vocals and guitars, pounding drums, crashing cymbals and grimey synths throughout hit me right where it counts. Joining up with Ty Segall’s Drag City imprint GOD? is a match made in heaven and I can’t think of anyone more fitting to put this record out. Check out “Flying Golem” below then head over to Drag City and snag yourself a copy. Enjoy. I was a big thrash/metal fan back in the day. Bands like Crumbsuckers, D.R.I., Anthrax and pre-Black album Metallica were the majority of what I listened to. As I grew older I lost my taste for metal and I’ve pretty much been out of touch with it since. That was until Zath’s “Black Goat Razor” (below) showed up in my inbox. It only took seconds from when I clicked play to be taken back in time, to high school art class listening to “Battery” from Master of Puppets as loud as possible. Those were pretty good times. Thanks for the ride Zath! The riffs are tight and it just plain rips! If there is even a touch of metal head in you, I highly recommend checking this out. 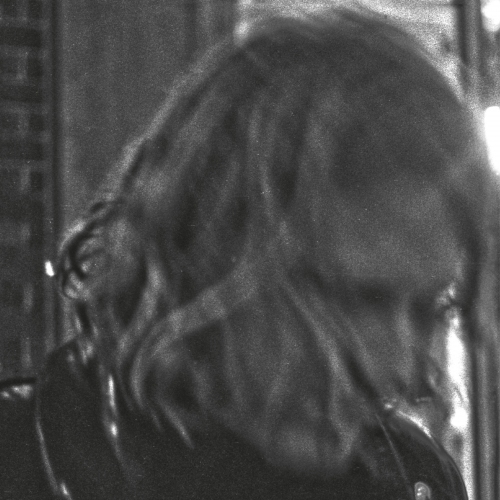 “Black Goat Razor” is available now on 7″ from Ty Segall’s Drag City imprint GOD?. There is not a lot of info on the interweb about David Novick, but I will share with you what I know. He is out of SanFrancisco. He recently released his second album Your Sister’s Hand. Novick’s psychedelic folk sound is perfect to chill out to. Check out slow builder “Beneath The Line” (below) to sample a taste of Novick’s mellow goodness. Your Sister’s Hand is available now on Ty Segall’s Drag City imprint GOD?. Enjoy. New Bums are a new band featuring Donovan Quinn (Skygreen Leopards) and Ben Chasney (Six Organs of Admittance, Comets on Fire). Their sound is simply put, two guitars (with the occasional drums and other instruments) and two voices. Their debut LP, Voices in a Rented Room is out now through Drag City. Album opener “Black Bough” (below) illustrates their sound perfectly. Two voices and two guitars playing nicely together, while the minimal amount of drums fill in the extra space to make this one of the standout tracks on the album. Enjoy. Former Sic Alps frontman, Mike Donovan, has recently released his new solo album Wot with Drag City. Check out the “chunk-a-chunk-a” acoustic guitar driven goodness of opening track “New Fieldhand Pop” below. If you like what you hear, and I’m pretty sure that you will, head over to Drag City‘s site and snag yourself a copy. Enjoy. Ty Segall is carving out a big notch in the “neo-psych garage” (I wish I came up with that name) genre that’s been brewing in SF for several years now, alongside bands like Thee Oh Sees, and Sic Alps. Segall has played in, and collaborated with quite a few bands out of SF, such as Party Fowl, Epsilons, and Sic Alps to name a few. Segall’s new album, and first full length with Drag City, Goodbye Bread, comes out today and is definitely an album you need to add to your collection. “You make The Sun Fry”, shared below, is a great example of the album as a whole. Full of reverb, fuzz, thick bass lines, and bashing drums, “You Make The Sun Fry” is lo-fi goodness at it’s best and is another great song to add to your summer playlist.